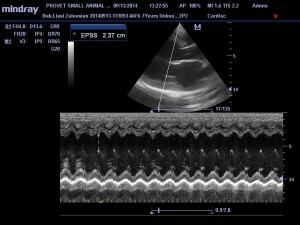 Patent Ductus Arteriosus(PDA) is one of the most frequently encountered congenital heart disease in dogs , ranging in prevalence from about 25 to 32 % from reported malformations 1 , and lest frequently in cats – about 11 % . 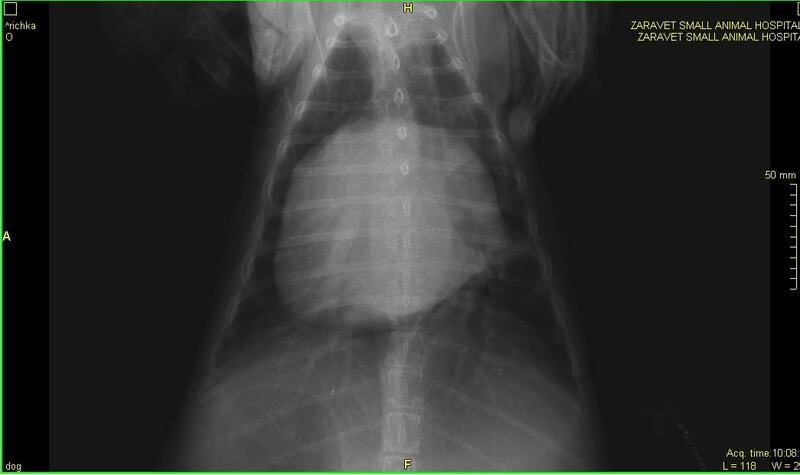 The ductus arteriosus is normal foetal structure that shunts blood from pulmonary artery to aorta 2. 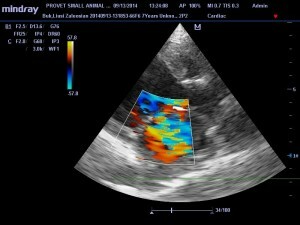 Before the birth , it divers approximately 80 to 90 % of the right ventricular output back to the left side of the circulation. 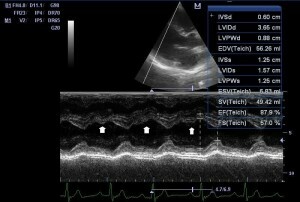 After parturition and the onset of breathing , pulmonary vascular resistance falls, flow in the ductus reverses , and the resulting rise in arterial oxygen tension inhibits local prostaglandin release causing constriction of the vascular smooth muscle within the vessel wall and functional closure of the ductus arteriosus3. The ductal wall usually contains a loose branching pattern of circumferential smooth muscle in normal pups. 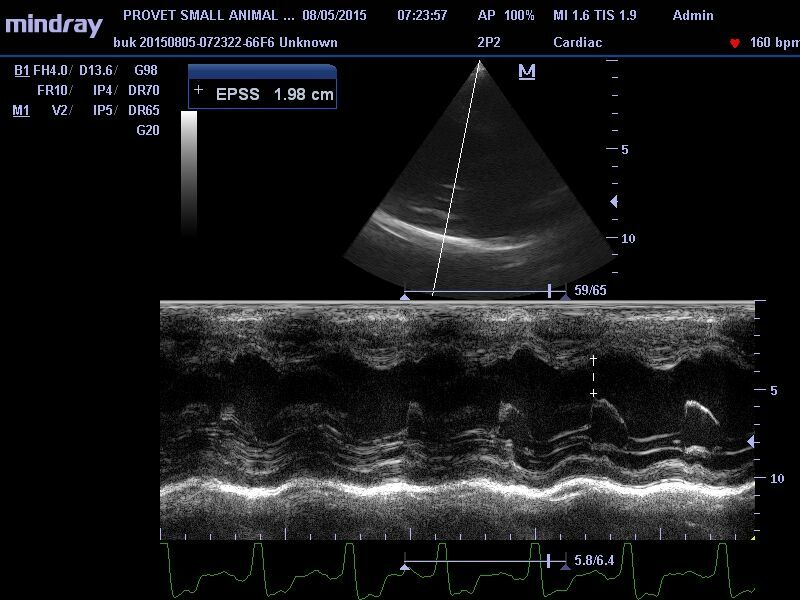 The increasing genetic liability to PDA represents extension of the noncontractile wall structure of the aorta to an increasing segment of the ductus arteriosus, progressively impairing its capacity to undergo physiologic closure1. In typical cases because of the lower pressure in pulmonary circulation there is continuous flow thru the ductus arteriosus from aorta to pulmonary artery. 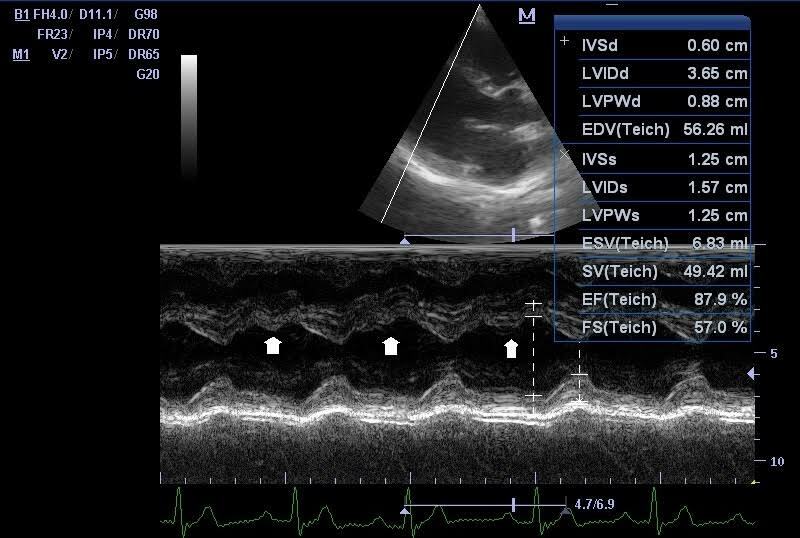 Clinical impact from this is volume overload of the structures in the shunt pathway : the main pulmonary artery, lungs, left atrium, left ventricle, and back to the ascending aorta up to the level of the ductus4. In that shunt direction the dogs show signs of left-sided congestive heart failure – exercise intolerance, coughing, eventually pulmonary edema. 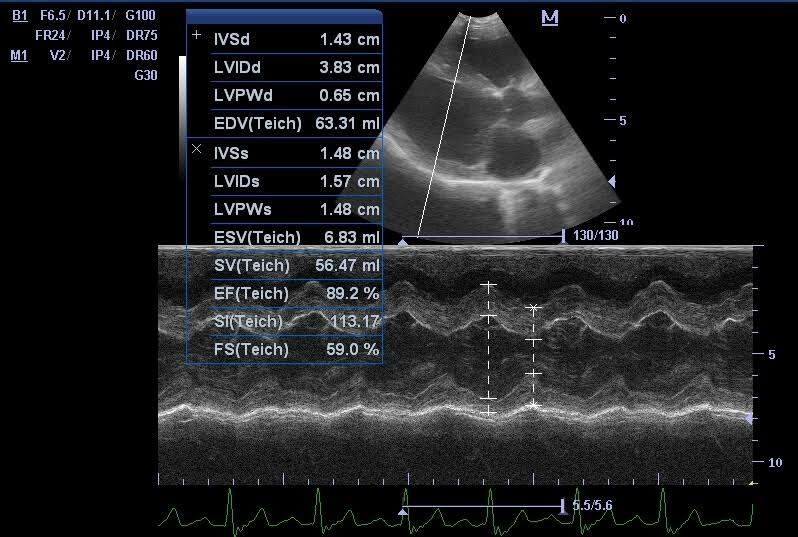 In rare instances when the ductus still wide after birth, the flow is really enormous and this leads to increase in pulmonary vascular resistance and change in direction of the shunt, so-called Eisenmengers physiology and reversed PDA . 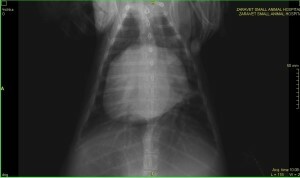 This pattern of pulmonary hypertension and reversed (right to left) shunting usually develops within the first few weeks of life3. 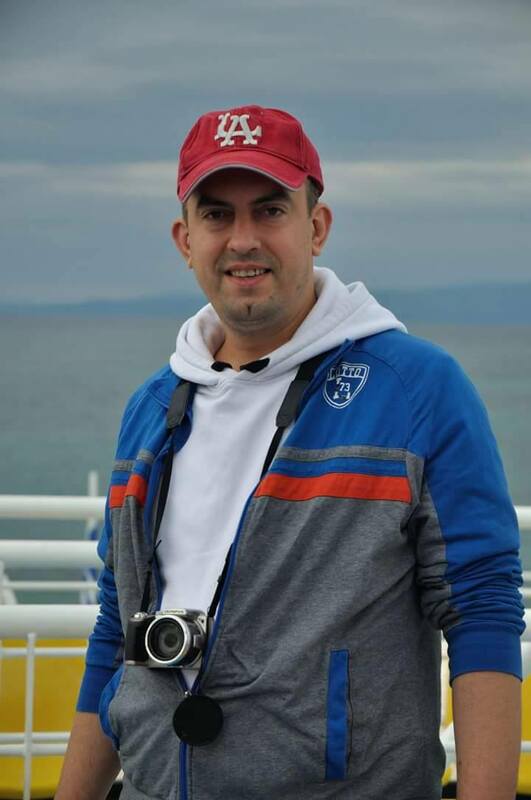 Clinical signs in reversed PDA are shortness of breath, differential cyanosis – pink mucous membranes in cranial part of the body and cyanosis in caudal membranes, polycythemia , pelvic limb weakness, collapse, and seizures. 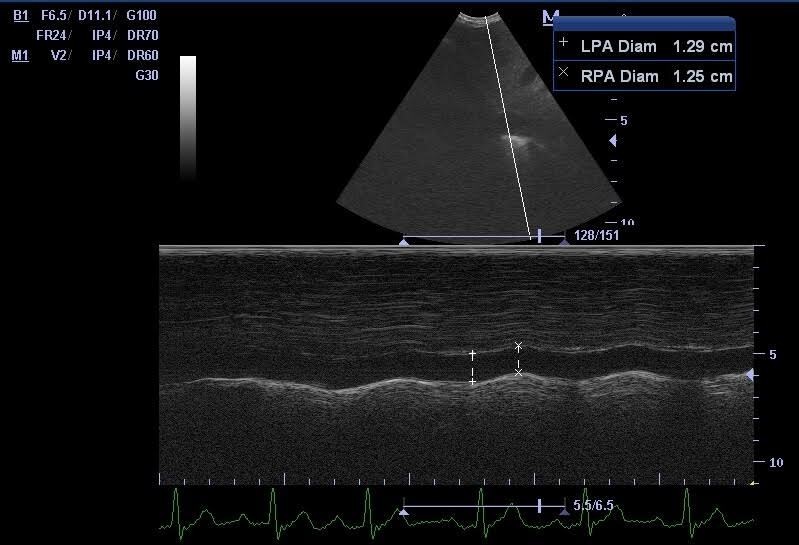 The changes in pulmonary vasculature are irreversible and closure of the PDA is not suggested. Many dogs with left to right PDA do not show any clinical signs, but if left heart failure has developed in first year of life, up to 65 % would die if left untreated. 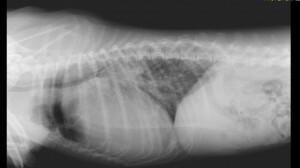 In most of the dogs clinical signs are apparent before the third year of age. The appearance of signs in older dogs is unusual2. Buky was 7 years old springer spaniel admitted in our clinic with severe respiratory distress. 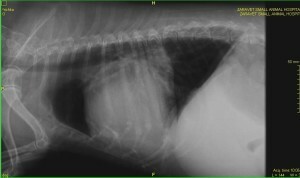 He had history of heart murmur noted on routine examination , several episodes with increasing respiratory rate, and one presyncopal event with rear limb weakness. 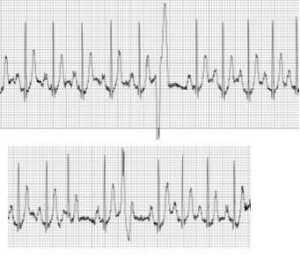 All clinical signs were apparent past several months. Oxygen – via mask . 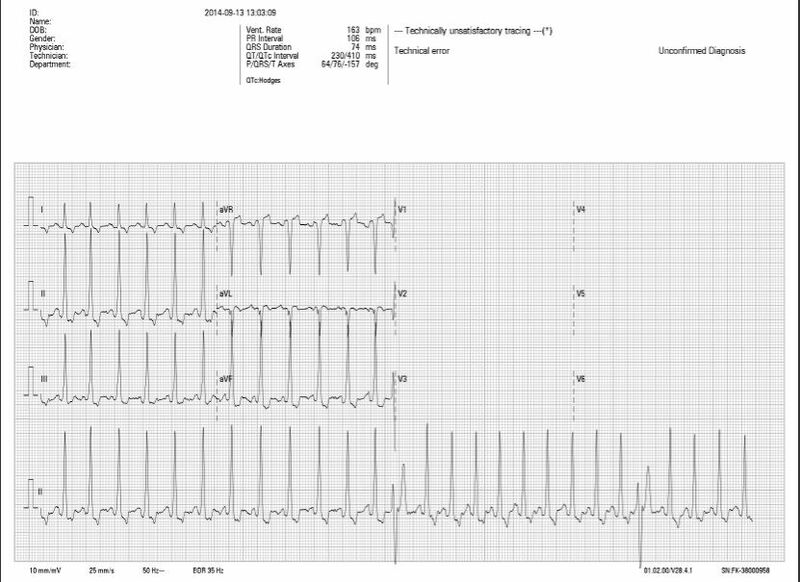 After several hours there was a reduction in respiratory rate, and efforts and an ECG and echocardiography were made. Fusion beats – intermediate morphology between normal complexes and VPC (Figures 5, 6, 7). 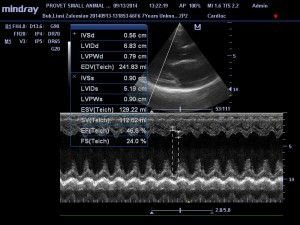 We have made echocardiography at left and right lateral recumbency of the patient with all parasternal views according to accepted standards. 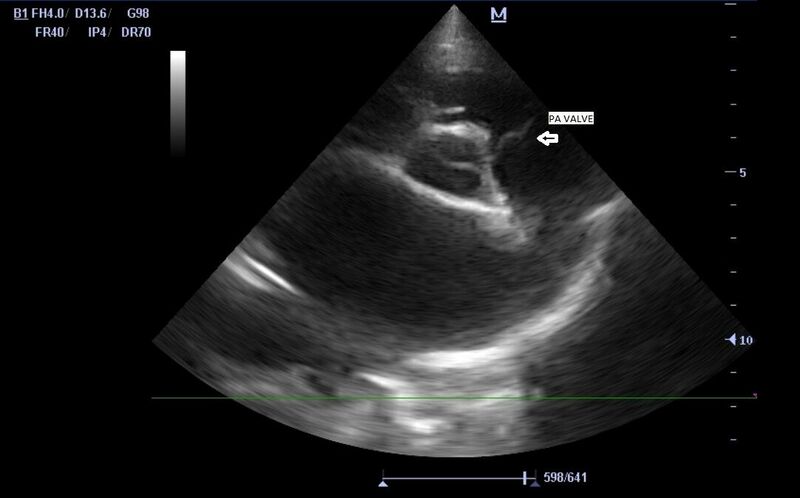 From the exam we have found severe left heart volume overloud with eccentric hypertrophy of the left ventricle. Left atrium was dilated with rightward excursion of the atrial septum. Left ventricle was dilated with thin free wall and interventricular septum, dooming of the septum to the right ventricle, and reduced systolic motion of the free wall and the septum (video 1). 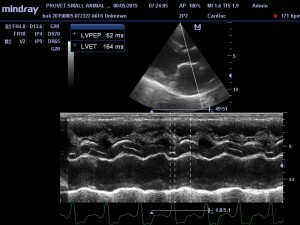 , and blowing of the pulmonary valve was noted (Figure 12). 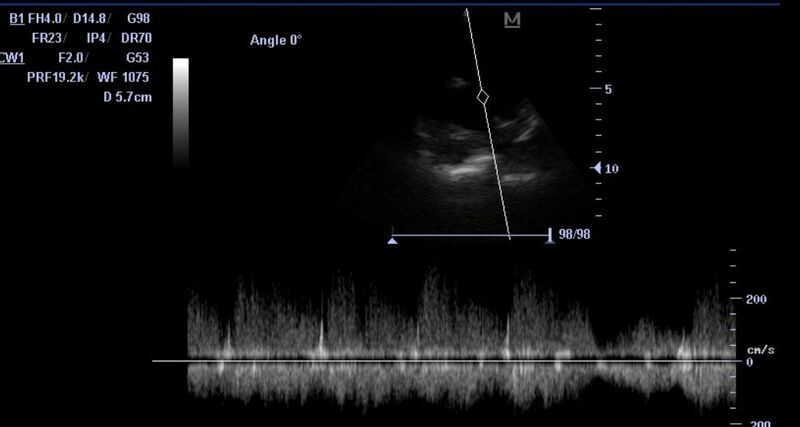 On Color Doppler exam there was mild mitral regurgitation with central jet , probably because the dilation of the mitral annulus (Figure 13), and in pulmonary artery was noted typical for PDA continuous flow (video 3). 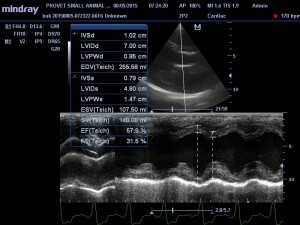 With CW Doppler the aortic flow velocity was measured 2,19 m/s , with normal speed les then 2.0 m/s. 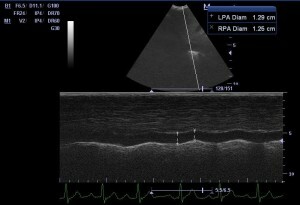 In pulmonary artery CW Doppler show typical continuous bidirectional flow (Figure 14). Supplements with L carnitine, taurine, and coenzyme q10. 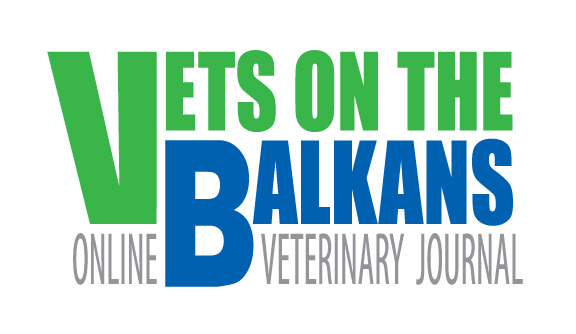 The dog was very well after the beginning of the therapy and had only exercise intolerance. 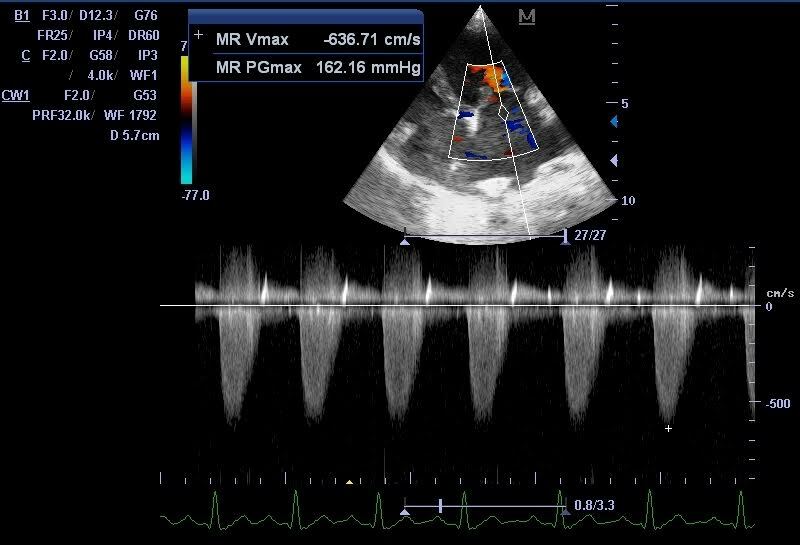 After about 1 year he had improvement in some echocardiographyc parameters of systolic function – normal fractional shortening, normal pre ejection period, normal ejection time, but the left atrium was bigger then year ago (Figures 15, 16, 17). 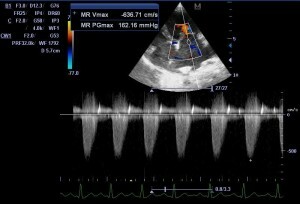 video 5 – modified left parasternal short axis view of heart base with color Doppler of the pulmonary artery showing continuous flow with small turbulent jet in opposite direction. 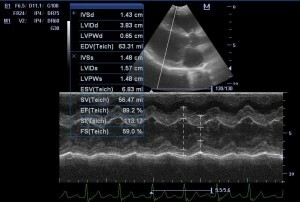 The treatments for Patent Ductus Arteriosus are surgical ligation or transcatheter device closure. Because of the technical factors and price in our country no one does make device closure but in many clinics surgical procedure can be done with great success. In this case the owners decline surgery, but mine opinion is also that the dog was not appropriate candidate for operation. 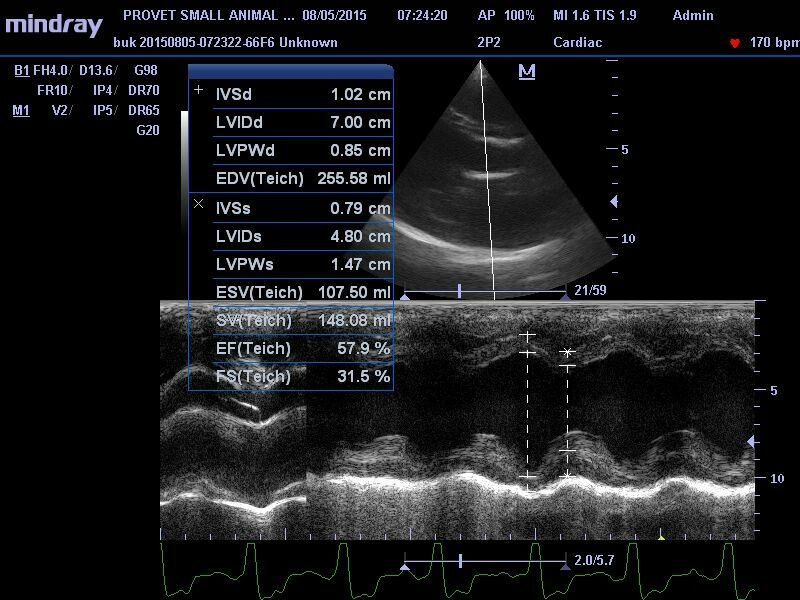 Despite the fact that in most cases there is dramatic improvement in clinical status and cardiac function after surgical closure, the age ,the already developed heart failure, and concurrent heart disease, affect negatively survival period after PDA closure5. 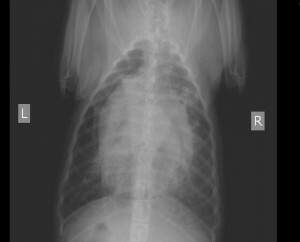 In adult dogs one of the major surgical complications is haemorrhage due to ductus friability2. 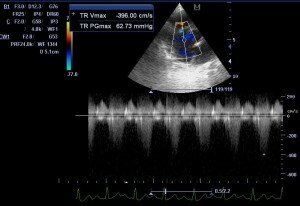 Mitral valve endocardiosis is also an important factor affecting the survival period. On video 1 and 4 we can see the slight thickening and prolapsed mitral valve leaflets, so I supposed that the dog had degeneration of the mitral valve. 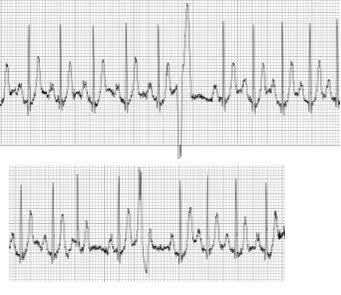 Conduction instability of the heart is another reason for anesthetic complications. 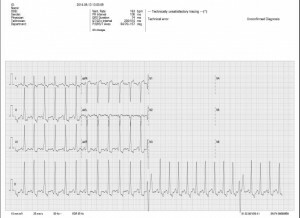 Actually the dog has died suddenly during routine walk without any other signs, about two years after the diagnosis, so malignant arrhythmia can be the reason. 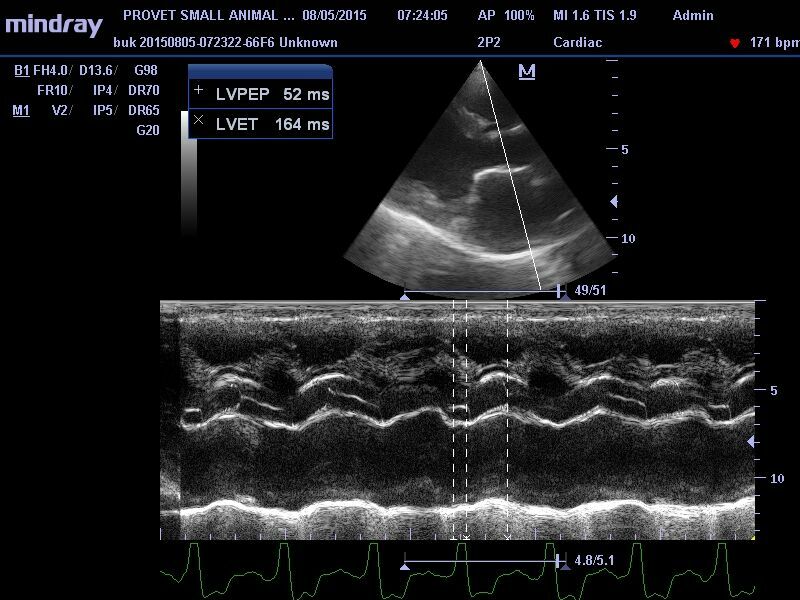 Despite this facts in most of the literature, the authors suggest closure of the PDA, even in adult dogs, only important contraindication for not closing is right to left shunt. It is not known why some animals with PDA do not show any signs until adulthood. One of the reasons could be the small diameter of the ductus. In human medicine the maintenance of normal pulmonary vascular resistance is important factor for survival of the older patients2. It is certain that the adult dogs with congenital heart diseases are more then we expect, and always when we examine adult animal for some heart disease, we have to think not only for degenerative valve disease and cardiomyopathies but also for congenital and inherited problems. And of course rare things do happen everyday.